Learn how to use English phrasal verbs through speaking, listening and writing. Fundamental for IELTS preparation. Master the most common English phrasal verbs that native speakers use. Are you tired of sounding like a child when you speak English? Do you think your English is too basic to get a 7 or higher band score in IELTS? These are not unrealistic goals and you can achieve them by learning how to use Phrasal verbs. Yes, English can be confusing and yes there is a lot to learn but the key is to learn the relevant information, which to surprise you is not grammar structures and perfect sentences. Instead, you need to learn commonly used phrasal verbs and expressions that us native speakers use. If you incorporate this into your conversations you will realise that people will take you more seriously when you speak English and that you won't feel like the "foreigner" anymore! I have been teaching students "Real English" for more than six years and have seen each and every one of my students go from speaking English only to answer questions to participating in conversations and expressing complex thoughts and opinions naturally. In this course you will learn the most common phrasal verbs and how to use them. You will increase your confidence in speaking English and feel ready to participate in real life conversations as well as the IELTS exam. You won't be just passively watching videos and listening to me talk but Instead, you will be participating in active speaking exercises and listening exercises. By practicing how to pronounce the verbs naturally you will build your confidence with phrasal verbs and feel sure about using them outside of the course. The listening exericises will enable you to identiy the new phrasal verbs in context so that when you hear people using them you will be able to connect information, so that instead of smiling and saying ok, you can actually participate in conversations. You will master all the phrasal verbs in this course by understanding how to use them in different situations. By learning phrasal verbs in context, through real life examples, you will be able to apply this knowledge in your English conversations and your IELTS exam. How to participate in conversations and express complex thoughts and opinions naturally. How to master all the phrasal verbs in this course by understanding how to use them in different situations. 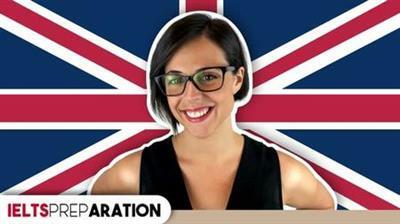 Take your English to the next level and be taken seriously as an English speaker.